Support Staff Spotlight: Carol Simpson | The Gettysburgian. 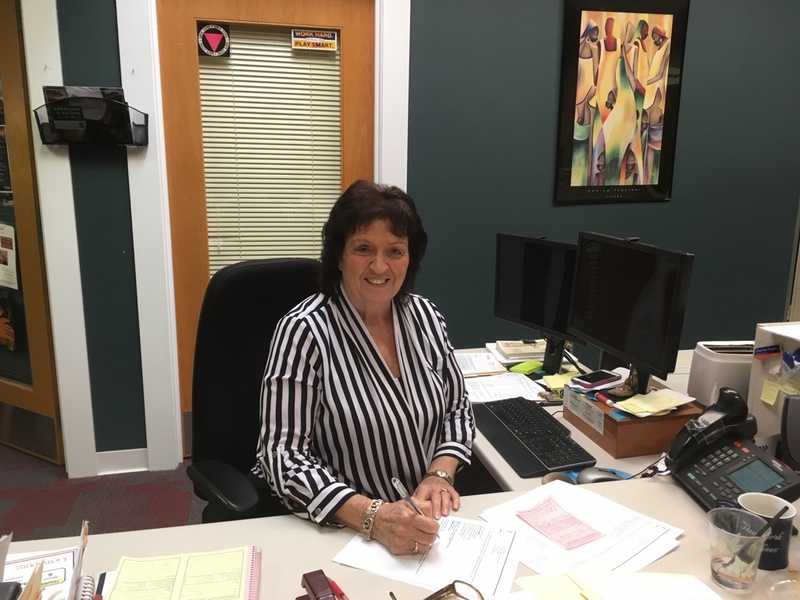 In this week’s support staff spotlight, we introduce you to Carol Simpson, Administrative Services Assistant in Academic Advising. Simpson started working in Academic Advising 28 years ago. As the longest serving member of Academic Advising’s staff, she noted that much has changed since she started there. While physical spaces have certainly changed on campus, according to Simpson, how we communicate is what has changed most drastically. “We used to visit each other to handle things,” she said, explaining, “that was the biggest and hardest change to get used to. I like the personal contact.” Now, staff members rely on emails to communicate and that personal contact is diminished. When Simpson started at Gettysburg, she enjoyed helping Academic Advising organize first-year orientation, but that task has since been assigned to the Office of Residential and First-Year Programs. Now, Simpson said that her favorite part of working at Academic Advising is when she can work with students. “I would say that working with the Honor Commission students is one of the highlights of my job, and the work-study students in the office are awesome,” Simpson said. Simpson makes efforts to keep up with students after they leave Gettysburg, and enjoys seeing how their personal and professional lives unfold. She thinks fondly of the students here. “It amazes me how motivated and exceptional Gettysburg students are, seeing where they go abroad and the projects they work on here and abroad,” she said. Simpson loves working at Gettysburg College. “Gettysburg is definitely a great place to work, and I have been stretched beyond my horizons while working here,” she said. Not only does Simpson think fondly of Gettysburg, Gettysburg thinks fondly of her. Jennifer Cole, Associate Dean of Academic Advising, said that Simpson is an invaluable member of the Acadamic Advising staff. Noelle Billand, also an Administrative Services Assistant in Academic Advising, said that working with Simpson everyday is an absolute treat. Bailey Heath ’19 praised Simpson’s work with the Honor Commission. Anthony Wagner ’17 said he loves Simpson’s spirit. Josh Wagner '19 is a chemistry and mathematics double major who enjoys bike rides on the battlefield and waving around a red pen as the Gettysburgian's Managing Opinions Editor. When not editing for the Gettysburgian, he can usually be found working in the College Life Office, helping students with calculus as a PLA, or studying in the library.